Oh, I AM Looking forward to your next post! In the meantime, can I have one of those jars of chutney? Pretty please? Because you made them completely irresistible with your description of them. And of course, they look exactly as you described. Golden and jammy and oh-so-yummy! Wonderful, Zu!!!! 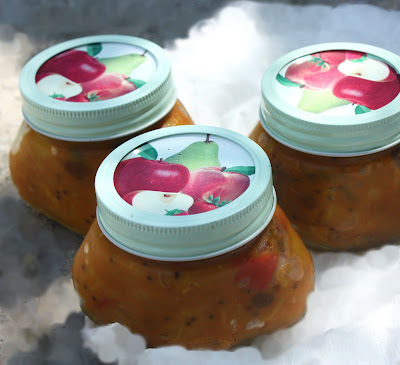 These chutney make a perfect holiday gift. 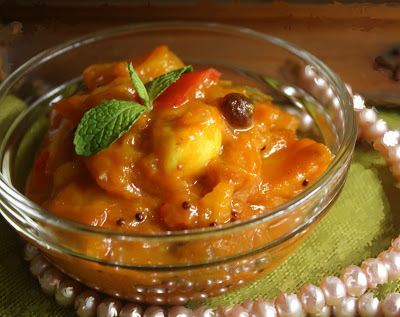 I love mango chutney! 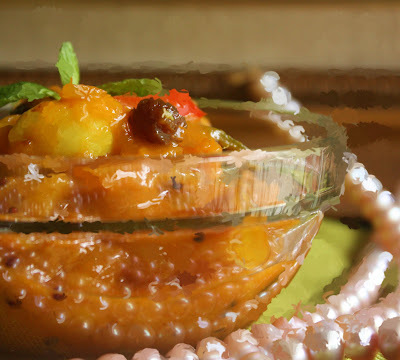 I never prepare chutney at home before, pineapple and mango are my favourite, I'm thinking to prepare this soon, and need to see your next post first.Thanks for sharing. It's a very interesting post. I like the idea of pineapple and mango. Sounds deli. And there's alot to do with so many jars of chutney.. looking forward to hear about it! 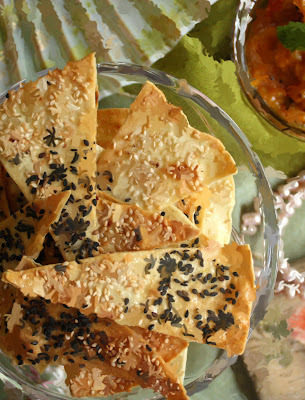 Mmm I love sweet and savory/spicy, so this sounds and looks great! Sesame is a favorite of mine too. I can't wait for your crisps post. I'm a big chutney fan and love mango, but have never combined it with pineapple. This sounds like a delicious recipe. Adui....air liur meleleh la Zu....which part of Malaysia do you live in? Nanti I balik holiday, we meet up la okay? I want three course meal and a dessert as well! 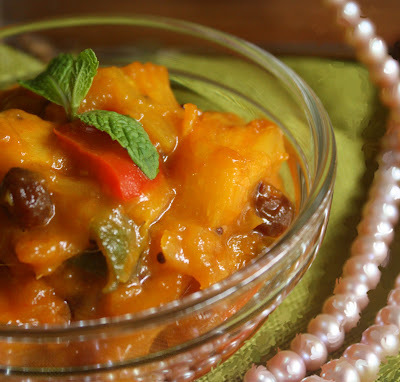 Mangoes and pineapples in chutney sounds so good! Sweet and tangy ... just what a good chutney should be ... Can I take home a jar please? Wow, this chutney looks so yummy. How long can it be stored? I love the bottles u use, so cute. 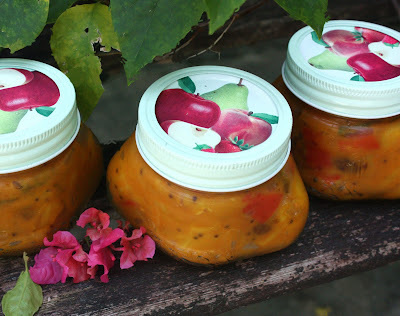 Your jars are so pretty, I love them, and I love the way you speak about this recipe,and I love the color, it's so difficult to write in english for me so I just say a word GORGEOUS ! ahhh. achar! i LOVE achar. its so tangy and refreshing. Aunty, see what you've done.. I'm salivating early morning.When can I fetch my share? The way you describe the chutney is so.. like able to activate my salivary glands...drooling.. I can taste the sweet and sourish chutney now :)yum! 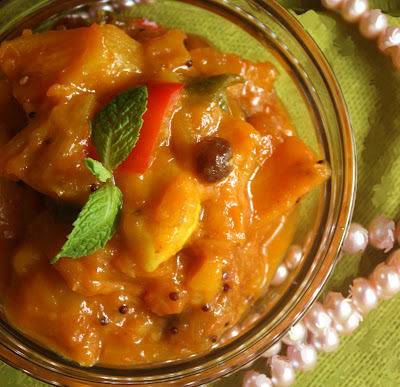 Pineapple and mango are such great combination for chutney. It['s a recipe for success. Sweet and sour. So refreshing. Pretty in their little jars! Those jars look like the perfect Christmas gift to give! It looks delicious! Those jars with the chutney look lovely. I think it would make great christmas presents! Spicey and oh so nicey. Looks delish. Hi Zurin, I have just made this chutney and it is absolutely delicious!!! (Thank you so much!) I plan to make a big batch as X'mas gift for friends - how long do you think they can keep in or out of the fridge? im not sure xactly how long it wl keep. But i did have it in the fridge for about 3 weeks and it was ok :) glad you liked it :))it made my day !